From the bestselling author of Istanbul Passage and Leaving Berlin comes a riveting novel about two brothers bound by blood, divided by loyalty. In 1949, Frank Weeks, fair-haired boy of the newly formed CIA, was exposed as a Communist spy and fled the country to vanish behind the Iron Curtain. Now, twelve years later, he has written his memoirs, a KGB- approved project almost certain to be an international bestseller, and has asked his brother Simon, a publisher, to come to Moscow to edit the manuscript. It’s a reunion Simon both dreads and longs for. The book is sure to be filled with mischief and misinformation; Frank’s motives suspect, the CIA hostile. But the chance to see Frank, his adored older brother, proves irresistible. And at first Frank is still Frank—the same charm, the same jokes, the same bond of affection that transcends ideology. 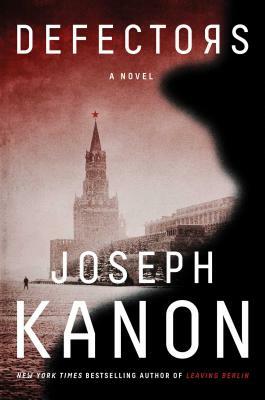 Then Simon begins to glimpse another Frank, still capable of treachery, still actively working for “the service.” He finds himself dragged into the middle of Frank’s new scheme, caught between the KGB and the CIA in a fatal cat and mouse game that only one of the brothers is likely to survive. Defectors is the gripping story of one family torn apart by the divided loyalties of the Cold War, but it's also a revealing look at the wider community of defectors, American and British, living a twilit Moscow existence, granted privileges but never trusted, spies who have escaped one prison only to find themselves trapped in another that is even more sinister. Filled with authentic period detail and moral ambiguity, Defectors takes us to the heart of a world of secrets, where no one can be trusted and murder is just collateral damage.